Azalea Residences is a 6-storey chalet that sits along the hilly Leonard Wood Road in Baguio City. It has a lovely facade that is both welcoming and comfy. 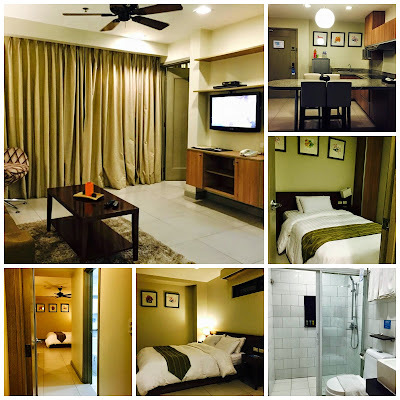 A place that assures you of having a nice, relaxing and memorable stay. The interiors may be sparse as compared with other hotels in the area but the vibe is classy elegance. The staff are also friendly and approachable so that you won't feel lost being in a new place. This is my second visit to Azalea Residences though and my first one sans family so its going to be a whole new adventure for me. I arrived early in the morning (before sunrise) and ahead of the group. Some bloggers including moi were invited to attend the first Foodies-at-the-HUB in Camp John Hay and were to stay at Azalea Residences. Aside from Tradisyon Cafe which serves a la carte and buffet, there's also the bar/coffeeshop in the lobby for quick meetings. There's also the Souvenir shop that has a steady supply of ube and strawberry jam and other Baguio delicacies, as well as some artistic stuff made by Baguio artists. I was a bit apprehensive checking-in early (3:30am!) but was greeted with smiles upon alighting from the cab, up to the concierge and till I was safely in my assigned room. My room is a two-bedroom suite located on the second floor with a veranda overlooking the playground, the fountain, and the nearby mountain. I'd be sharing the room with two other bloggers; Marjorie will arrive an hour after me and Cristelle will arrive along with the rest (Az, Ted, and Rey). The two-bedroom suite has a masters bedroom with its own t&b, and a smaller bedroom. There's a common t&b, the living room area that includes a sofa that transform into a bed, and an area for dining with a cute kitchen. I haven't tried cooking in Azalea although I'm sure you can request for pots and pans. It was indeed an enjoyable stay except for the wifi signal which was a bit erratic as compared when I first stayed there a year ago. On the other hand, I welcomed being unwired for a change and switch to being on a vacation-mode. The hotel was fully occupied when we arrived because there's a medical conference going on and kudos to the staff for being so cool about it. Imagine the breakfast station extending to the coffeeshop area in the lobby to accommodate the diners. Overall, it was a pleasant 3-nights stay for me. I slept like a log and woke up each day refreshed. My blogger friends all left early morning of Monday (we arrived Friday), and then my family arrived an hour after they left. Thank you Azalea Residences for allowing us to stay till morning before transferring to a friend's house nearby. Special thanks also to Baguio Guide App, Smart, North Luzon Properties, and LakbayBaguio for sponsoring our Baguio Food Tour 2015. 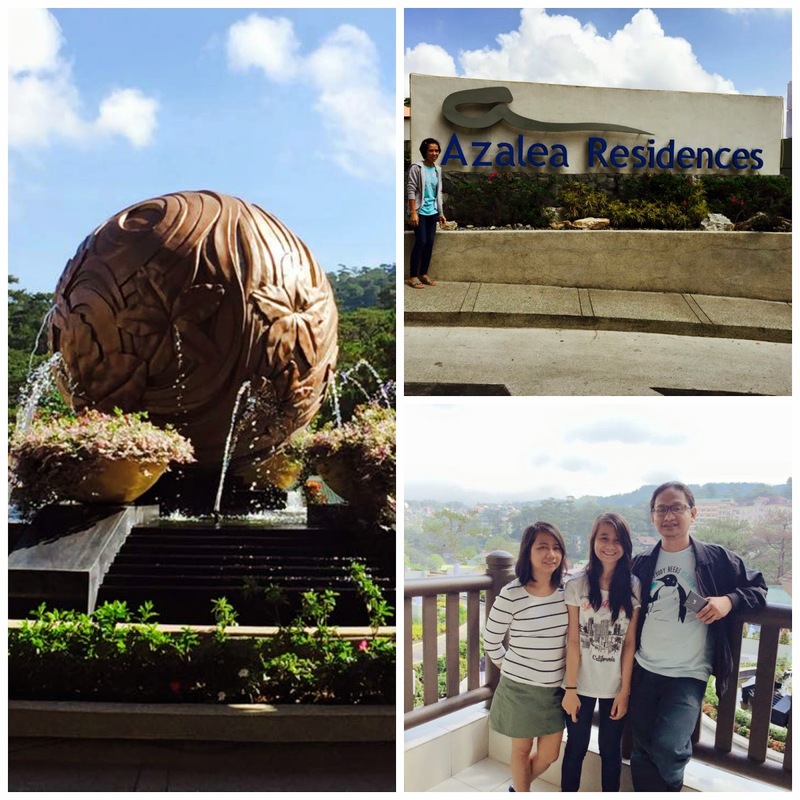 I'd stay at Azalea Residences the next time I visit Baguio. 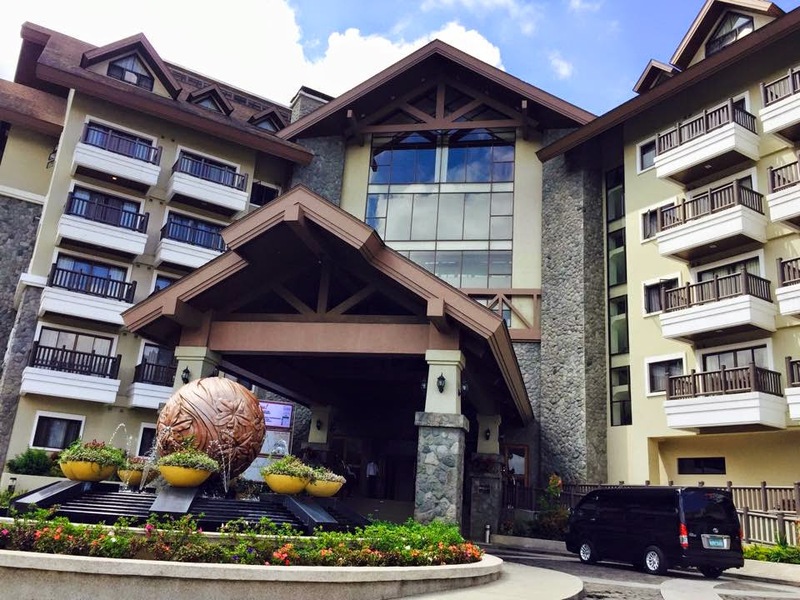 i've read much about this hotel in Baguio + I do hope we can stay there on our next Baguio getaway, which I am hoping to be very soon! I have not been back to Baguio in a long time. This looks like a nice place to stay in. I wil definitely keep this in mind when I travel to Baguio hopefully soon! Lovely place! I'll keep this hotel in mind the next time we visit Baguio. Thanks for the heads-up! I think we passed by this when we were in Baguio. I like how the project looks cozy and elegant at the same time! The place looks inviting! 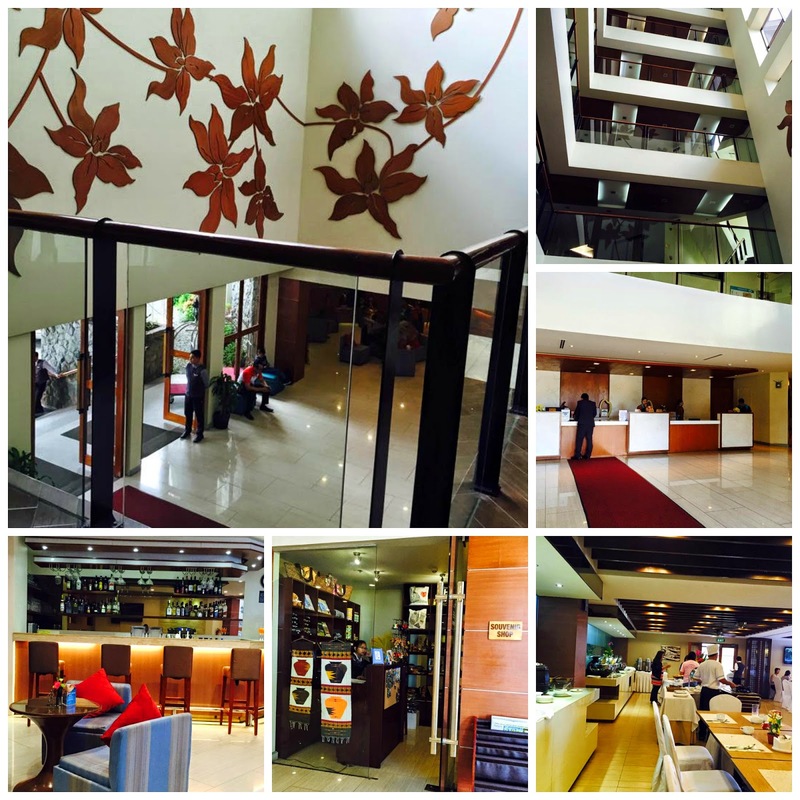 Looks like you enjoyed your stay..
We always stay in Manor when we go to Baguio and we're happy with their service and accommodation. I wonder how Azalea's hotel rates compare. Did you also get to try their food/ breakfast buffet?